Our mantels are unlike any other mantels on the market. 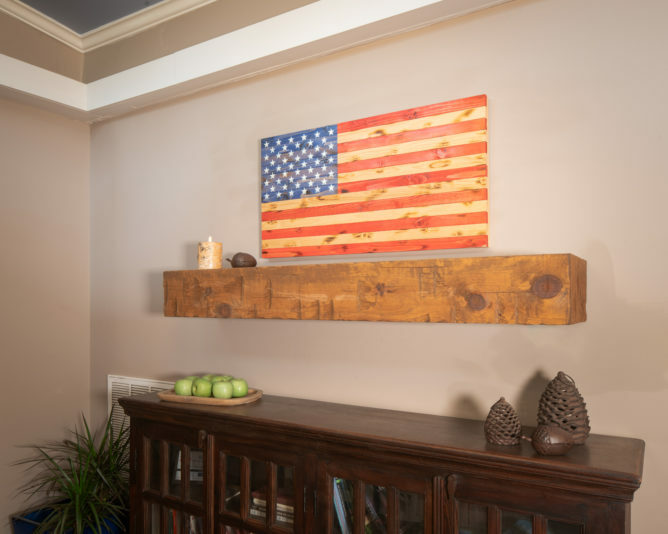 Beauty meets function with our hollow mantels that can hold all of your pesky cable boxes—or heck—anything else you want to hide. 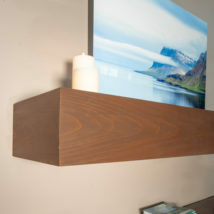 A metal plate on the top of the mantel allows for air flow to your electronics (or hidden treasures). 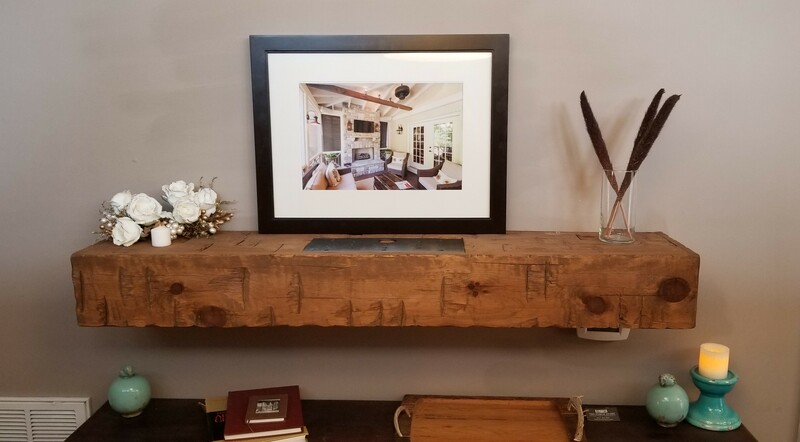 The hand hewn mantel, made from pine, has been tastefully distressed and hewn for that classic rustic look. No hand hewn mantel is the same! 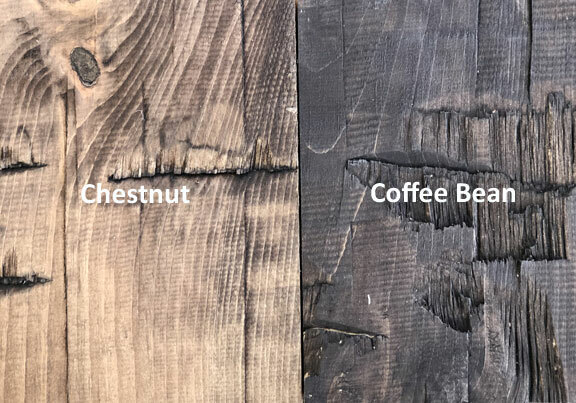 Choose from our light stain, our dark stain, or un-stained and stain or paint it the color of your choice! 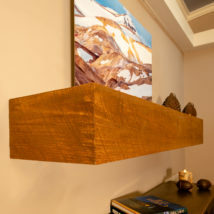 Whether you are hanging these on your fireplace, or in your living room as a floating shelf, give your room (or porch!) the beautiful focal point it deserves. 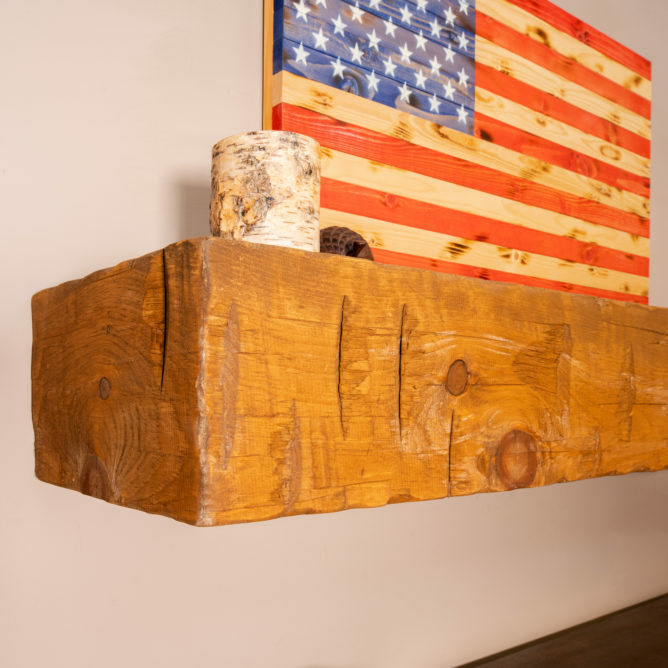 These mantels are handmade right here in our shop in Nashville, TN. Check out our installation instructions here.